With summer officially here in our house, I’m looking for crafts to keep the boys busy. And while we’re generally outside most of the day, during the hot hours I try to keep them out of the sun. So, I’ve been trying to come up with crafts that they will be excited about. Now, I want them to be easy enough for MillerBug to make but fun enough that J-Man might just want to get in on the action too. 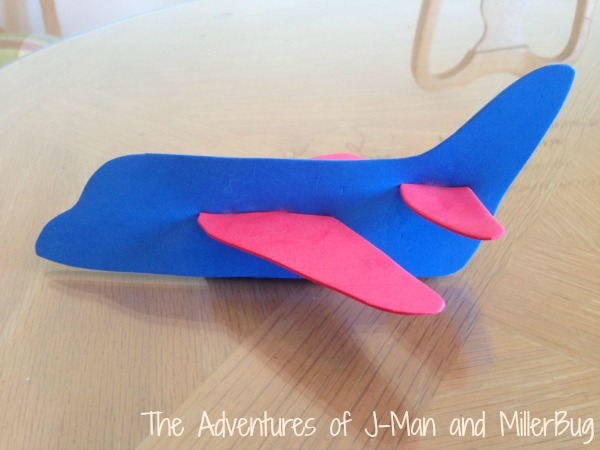 And yesterday we put together an airplane craft that was made from foam paper we had around the house. 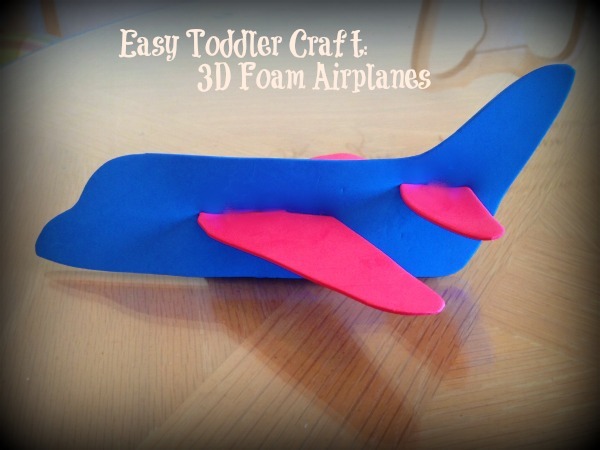 These planes were super easy to make and so much fun to zoom around with after they were done! Here’s how you can make them too! Start by cutting out the shape for the body of the plane. You can draw the pattern on first or simply freehand it. As with any toddler craft, perfection is not necessary. 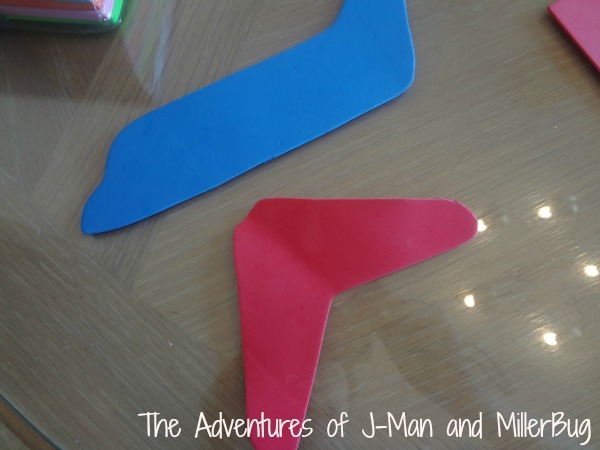 As long as you get the general shape of a plane, I’m sure your child will be thrilled. 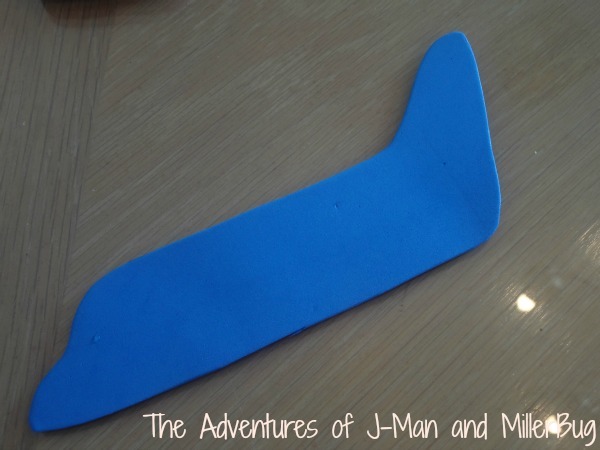 If your little one is old enough, draw the plane on the foam for them and then allow them to cut it out with their craft scissors. Next cut out your wings. 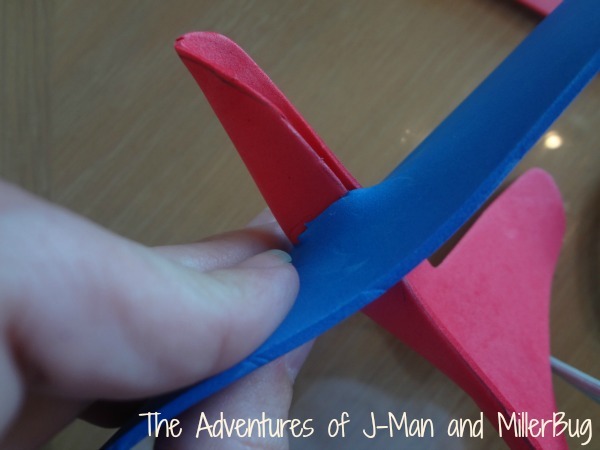 Now, instead of cutting two different wings, fold your piece of foam in half so that the wings are attached. Next, cut an opening into the middle of your plane body where you want the wings to go. Simply push the sharp point of your scissors through the foam and then cut back on both sides. Make the opening slightly slimmer than the middle point of your wings. You can the fold your wings to slide them into the opening. Continue to pull your wings through until they are even on both sides and then flatten them out. Repeat the process with a smaller piece right below the tail of the plane. Once you have added your two wings, you plane is complete! And that’s it! 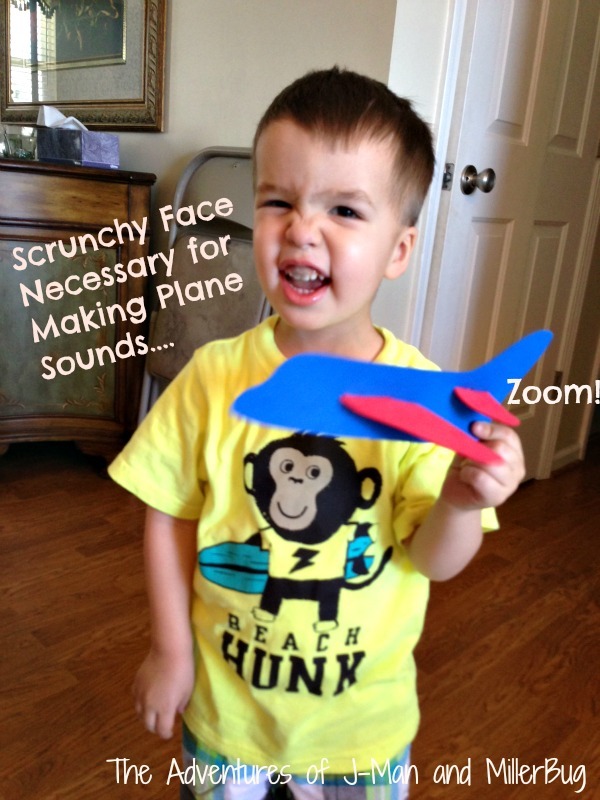 Now your kiddos can zoom away the summer days with a plane of their very own! This fun craft is sure to be a hit with kids of all ages and is a great way to spend a warm day!